Ryanair on Thursday said it had "reached agreement" with an Irish union representing pilots, in a move that could end the cancellation of flights across Europe because of strikes. 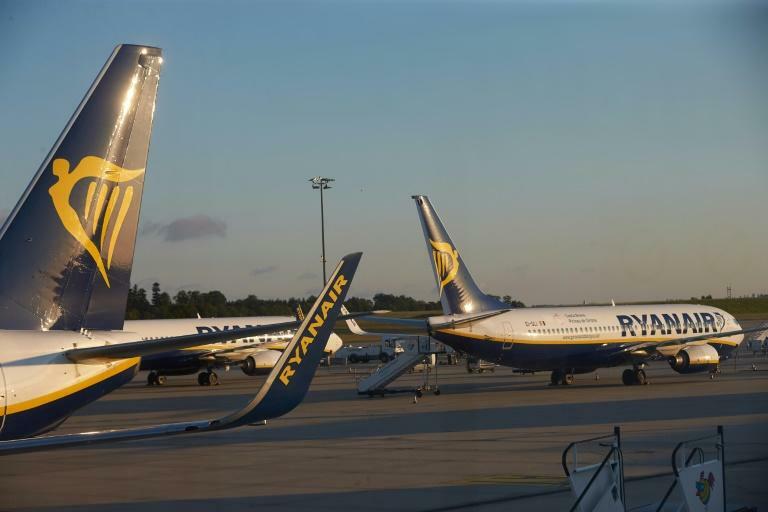 "Ryanair today (Thursday) confirmed that overnight it had reached agreement with FORSA union and its Irish pilots committee on behalf of Republic of Ireland based pilots," the no-frills airline tweeted following a 22-hours long negotiating session. Reports said that the union has recommended that the pilots back the deal, of which no details have been disclosed. "Ryanair will take these proposals to its Board in due course after the Irish based pilots have voted on this signed agreement," the tweet added. "The mediator... has asked both sides to refrain from further comment until the ballot has concluded and we will respect his wishes," Ryanair continued. Ryanair's share price soared 5.59 percent to 13.88 euros in Dublin trading following the announcement. The Irish deal "ought to end disruption, although it remains dependent on a ballot of members, whilst the company is still engaged in battles (elsewhere) in Europe", noted Neil Wilson, chief market analyst at Markets.com. "The likelihood is that remaining pilot union concerns will be resolved fairly quickly following this agreement," he added. Around 55,000 passengers were affected by the strikes, said Ryanair, which has offered customers refunds or the option of rebooking their journeys. In all, Ireland-based pilots have held five one-day strikes since the start of July. The airline meanwhile suffered a round of strikes by cockpit and cabin crew in July that disrupted 600 flights in Belgium, Ireland, Italy, Portugal and Spain, affecting 100,000 travellers. Unions are demanding higher salaries for their members, claiming Ryanair pays less than rival airlines, and for contractors' working conditions to match those of staff employees. Ryanair meanwhile claims that its pilots have been offered a 20-percent pay increase this year, adding that the carrier is committed to giving all its pilots in Germany permanent contracts by the end of the year.